J-Hop Tour Journal: Takayama Spring Festival is tomorrow and day after tomorrow! Takayama Spring Festival is tomorrow and day after tomorrow! It is really nice day for walking around the town today!!! Cherry blossoms by the Miyagawa river are coming out little by little. 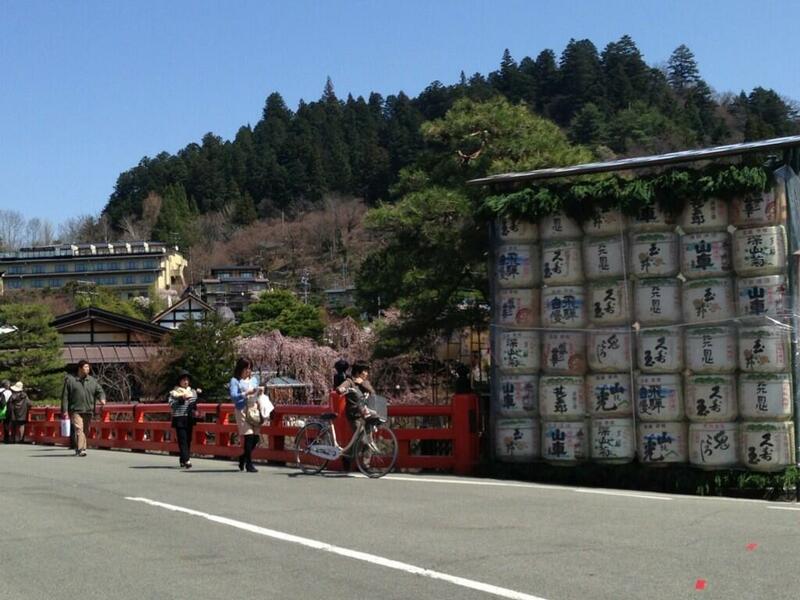 Takayama town looks more lively more than usual as people are preparing for theTakayama Spring Festival. The festival will be holding from tomorrow and day after tomorrow! It's really rare to see cherry blossoms and the festival at the same time. Someone told me it happen one in 10 years! I hope I can see the scenery like this picture!!! Can't wait to see it!!!! 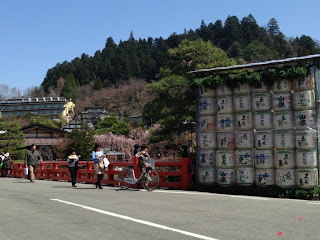 Please visit this web-site for the detail of Takayama Spring Festival. We have few seats available for the Shirakawago half-day bus tour from Hida Takayama! Please call us on 81-577-62-9545 for your reservation. Cherry blossoms coming out here in Takayama!! !